FILE PHOTO: Carolyn Fortney, a survivor of sexual abuse at the hands of her family's Roman Catholic parish priest as a child, awaits legislation in the Pennsylvania Capitol to respond to a landmark state grand jury report on child sexual abuse in the Catholic Church, Wednesday, Oct. 17, 2018 in Harrisburg. "I've been in this House fighting for six years trying to get the statutory change, and it hasn't gone anywhere. 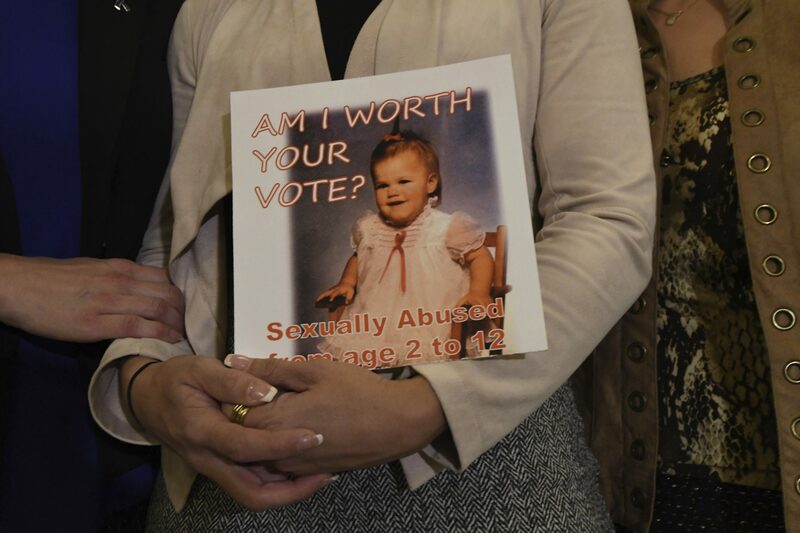 So why not start this constitutional process..."
(Harrisburg) — A pair of bills that would overhaul the laws governing child sexual abuse in Pennsylvania have cleared their first hurdle in the state House–passing through the Judiciary Committee with a near-unanimous vote. 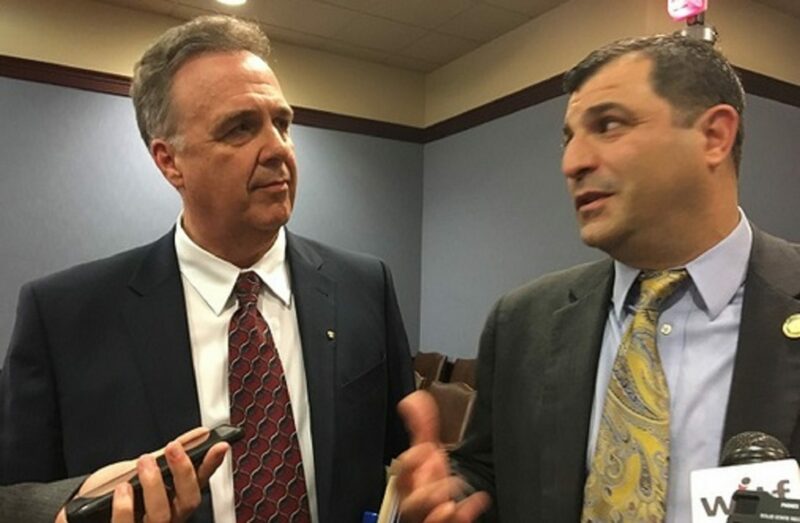 Representatives Jim Gregory and Mark Rozzi speak to reporters after the successful passage of their bills from the House Judiciary Committee.